The Town of Spindale was once a hub of mills and factories in the 1900s, in fact, Spindale’s name was appropriately chosen for its well-known role in the textile industry. Today, history is preserved in the small-town charm and brick buildings that have stood strong for generations. It is known to many as home to WNCW 88.7FM radio, the most-listened-to public radio station in Western North Carolina, located at Spindale’s Isothermal Community College. 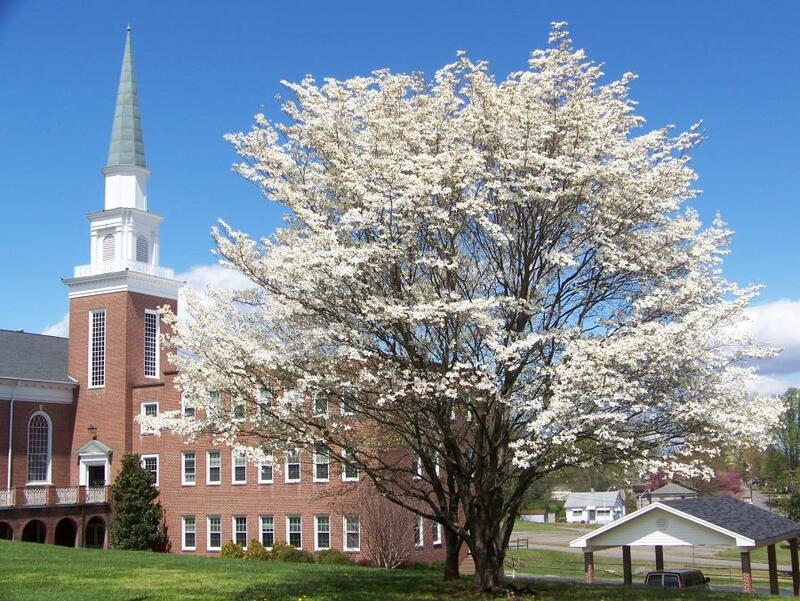 The Town’s symbol of past runs the length of an old textile railroad line, which has been turned into the Thermal Belt Rail Trail, and runs from the Gilkey community through Rutherfordton, Spindale and currently being expanded to Forest City. Spindale comes to life each day with the sounds of music along the sidewalks and live performances inside popular hangouts. The downtown is bustling with eclectic shops and restaurants that line Main Street. Enjoy a day inside a tiny town with a big heart. Download a printable flyer of this itinerary along with complete addresses and hours of stops featured. Below you’ll find a quick reference to all the stops in the itinerary. Begin your tour of Spindale with a southern style breakfast at Carolina Café. Serving up classic egg dishes, country biscuits and gravy, and all the fixings you would expect to accompany your choices. Take a coffee to go and head for downtown Main Street to visit the beloved shops. Step inside Spindazzle Boutique for pleasant surprises for yourself or friends. From custom stationary, wedding gifts and home décor to clothing, purses, accessories and seasonal goodies, there are plenty of trendy new items waiting to be discovered. They even gift wrap! As you continue strolling the sidewalk, you might start to feel a little pep in your step. That’s because you are being drawn to the music coming from inside B Sharp Music store. 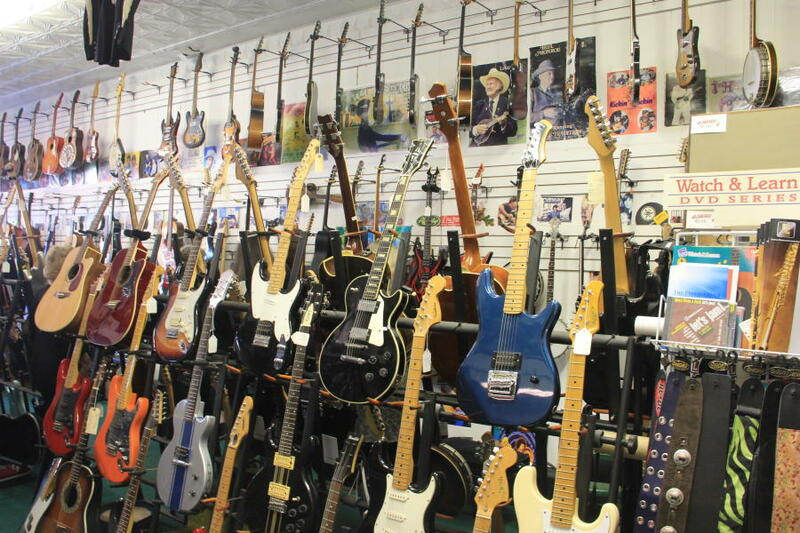 Don’t be shy, even if you have never held an instrument before, this place will make you feel like a rock star! Peruse through the stacks of old records, reminding you of past times. Check out the grand collection of guitars, banjos, and mandolins. You may even get a chance to hear the guys play a little ditty for you. Around the corner from Main Street is a shop of hidden treasures. Don’t miss Uniquely Diferent Thrift Store, a fun place to find home décor, toys, clothing, furniture and more! And just a short walk away is the Cigar Box. If you have family, friends or significant other who likes a cigar from time to time, this is the perfect shop to stick your head into. They carry all of the most wanted brands including Rocky Patel, Monte Cristo and Padron, plus all of the accessories needed to enjoy. Between all of the strolling, browsing and aroma of something delicious, your stomachs must be talking to you right about now. 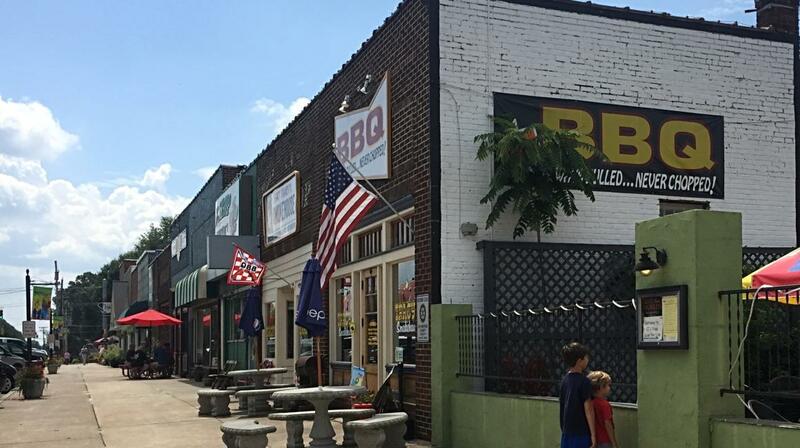 From Chinese, Japanese and Italian to American home-style cooking and local favorites, there are plenty of lunch options to fill up on in and around downtown. Spin City Corner Café offers a comfortable atmosphere providing fresh salads from local farmers, classic hot Panini style sandwiches and vegetarian selections. A local hot spot, the Shake Shop, is a small town restaurant best known for their old fashion hamburgers and hand spun milk shakes. Other menu choices include fish and BBQ sandwiches, wings, and salads with homemade ranch dressing. In the mood for something different? Try Sakura Express and enjoy Japanese tempura chicken, Hibachi entrees and Sushi rolls. If you have a craving for an amazing hot dog, look no further than Top Dog, home of the World’s best foot-long. Order it your way and don’t forget to add a side of old fashion potato salad, homemade coleslaw or a bag of chips. 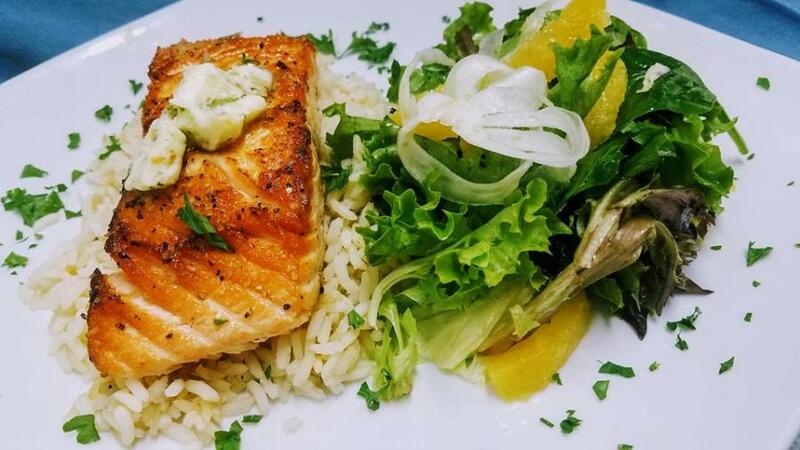 And at Don’s Italian Restaurant you will be greeted with genuine hospitality and served authentic items from homemade pastas and pizza to oven baked subs and appetizers. It is also a great option for dinner Tuesday – Saturday. Next, relive the railroading past and enjoy an experience that not only gets you moving outdoors but also gives you a sense of history and beauty that unites the towns and communities surrounding you. 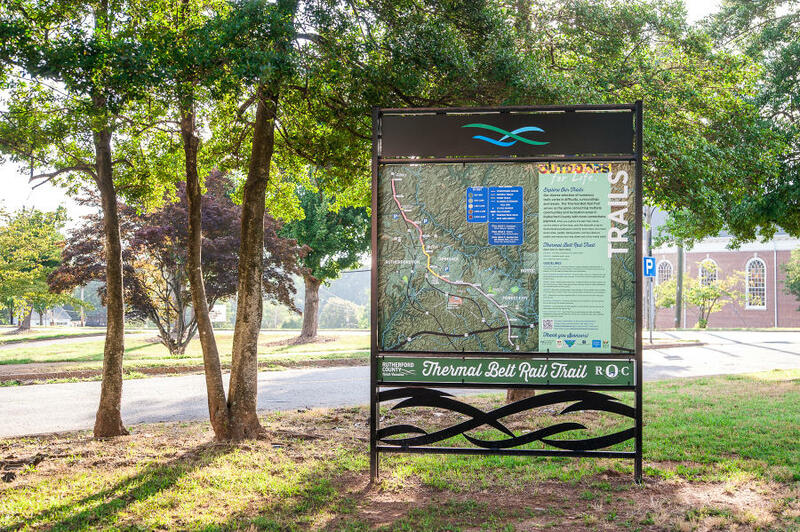 Once a railroad line that moved textiles in and out of the county, the Thermal Belt Rail Trail is a 7.8 mile thoroughfare lined with trees and stunning views of the foothills winding you through historical sites and main streets. The asphalt paved trail provides the perfect surface for walking, hiking, and biking, plus a great pathway for your pets. Located across the street from the businesses lining Spindale’s Main Street, is signage showcasing the trail map and a short description about the pathway and access points. Afterwards, reward yourself with a treat at Granny B’s Bakery and Sub Shoppe. Homemade donuts, cakes and ice cream will surely satisfy those sweet afternoon cravings. As evening rolls in, Spindale’s abundance nightlife comes alive. Head to Barley’s Taproom and Pizzeria on Main Street, one of the Southeast’s most popular taprooms, for a delicious slice of pie, created anyway you like it with plenty of toppings to choose from. Start with one of the appetizers like the famous black bean hummus or artichokes and ale, and try a locally made craft beer or wine to with it. A nice environment for the whole family, the menu houses a variety of dishes to please all taste buds including pastas, unique burgers and hot subs, and generous portions of salads. Although it is not listed on the menu, their Voodoo wings are hands down the best around! Kickback and stay for a while to enjoy the live entertainment performed by up and coming artists from WNC’s mountain bluegrass, Appalachian folk and eclectic guitar jams. Since you are here for the day, don’t miss the opportunity to take in a live show at the Foundation Performing Arts Center. 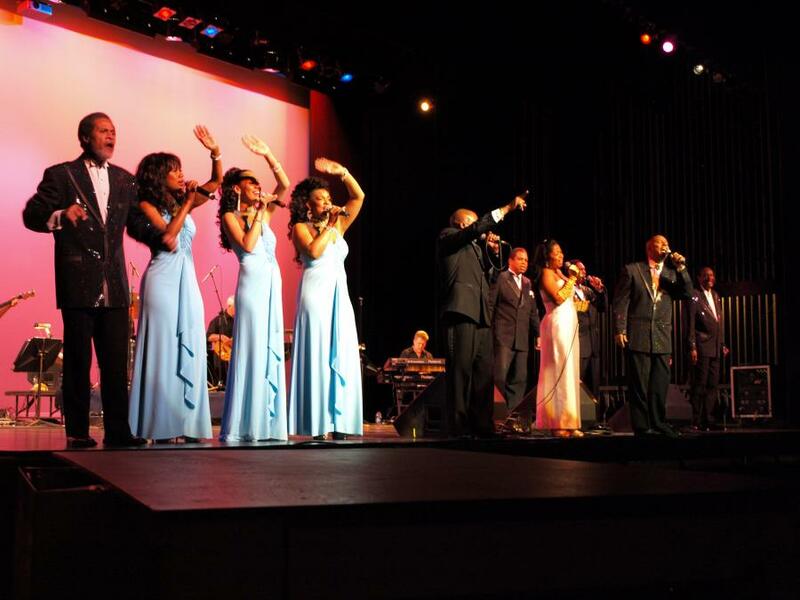 Hosting a variety of performances from concerts, plays and musicals to comedy acts and meet and greets with bands, you will be delightfully entertained inside a comfortable 1,300 seat auditorium. Go online to view their calendar of events to see if there is a show happening while you are in town. Can&apos;t get enough of our small towns? Don&apos;t worry we have 4 other towns you can explore, all within just minutes of Spindale. Continue your stay at one of our unique lodging properties and explore Rutherfordton, Forest City, Lake Lure, and Chimney Rock Village.